IAmElemental created the first-ever female action figures designed specifically for children. Its Series 1/Courage figures include Bravery, Honesty, Fear, Enthusiasm, Energy, Industry and Persistence. Series 2/Wisdom includes Creativity, Ingenuity, Curiosity, Logic, Exploration, Mastery and Oblivion. The company conducted a Kickstarter campaign which was fully funded in two days, drawing backers from all 50 states and six continents, and its groundbreaking products were named by TIME Magazine as one of the "25 Best Inventions of 2014" and "Top 10 Toys of 2014." The Jim Henson Company announced today it will develop a new animated children's television series based on the popular female action figures by IAmElemental. The series will target children ages 6 to 12. The deal will give The Jim Henson Company the opportunity to develop and produce the television series across all platforms. 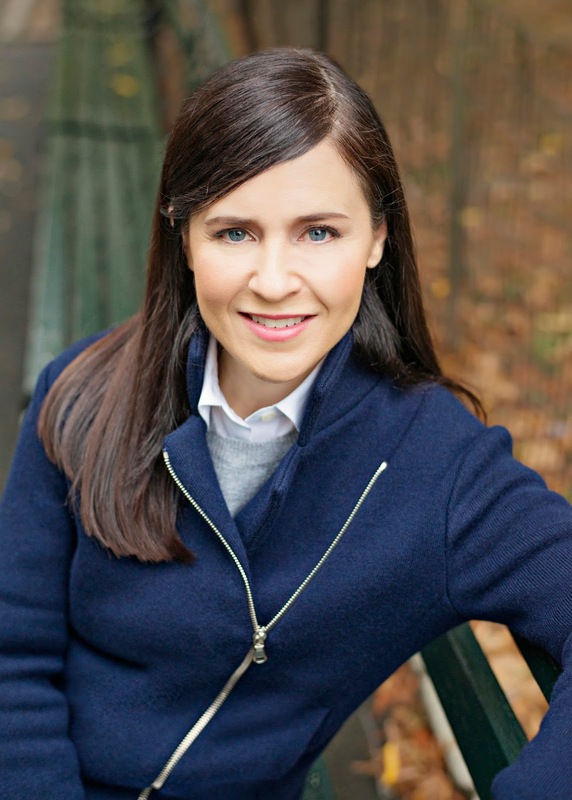 Lisa Henson and Halle Stanford of The Jim Henson Company will serve as executive producers. IAmElemental created the first-ever female action figures designed specifically for children. Its Series 1/Courage figures (modeled on Joan of Arc,) include Bravery, Honesty, Fear, Enthusiasm, Energy, Industry and Persistence. Series 2/Wisdom (with ancient Alexandrian STEM pioneer Hypatia as the muse,) includes Creativity, Ingenuity, Curiosity, Logic, Exploration, Mastery and Oblivion. The company conducted a Kickstarter campaign which was fully funded in two days, drawing backers from all 50 states and six continents, and its groundbreaking products were named by TIME Magazine as one of the "25 Best Inventions of 2014" and "Top 10 Toys of 2014." Most recently, IAmElemental was selected as a finalist in the 2018 "Action Figure of the Year" category at the Toy Industry Association's Toy of the Year Awards. The company was also a 2017 finalist in two categories, "Action Figure of the Year" and "Rookie of the Year." The Toy Industry Association has announced its 2018 Toy of the Year finalists – and IAmElemental has been selected in the Action Figure of the Year category for its Series 2/Wisdom figures. "At The Jim Henson Company, we have a tradition of creating strong female heroes in our past and current television and film franchises," said Halle Stanford, President of Television at The Jim Henson Company. "Partnering with IAmElemental is incredibly exciting because it will be our first foray into the superhero genre with a cast of powerful young women at its core. We are excited to introduce a unique and fresh superhero television series geared for children all over the world." "We are thrilled and grateful for the opportunity to work with the Superhero team at The Jim Henson Company," said Julie Kerwin, Chief Elemental Officer, IAmElemental. "Their Superpowers of creativity and originality have inspired me both as a child and as an adult, and I couldn't wish for a better partner to bring the IAmElemental messages of character strength and empowerment to a wider audience." 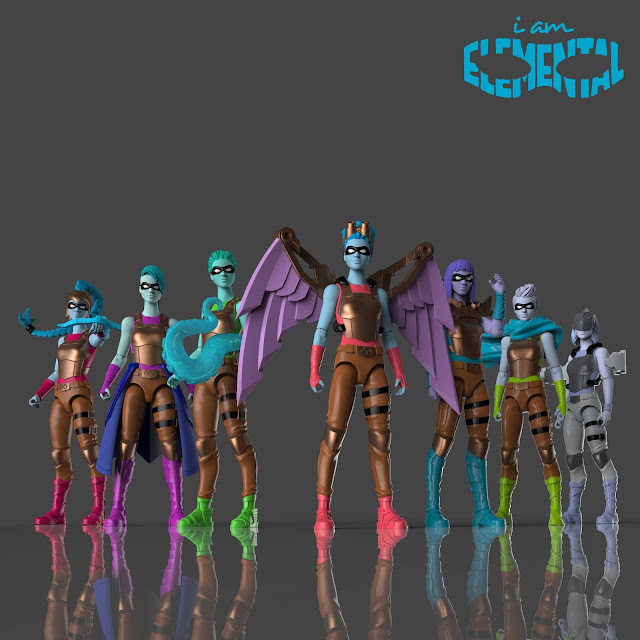 IAmElemental's female action figures are available online and in retail stores worldwide. "If you give a girl a different toy, she will tell a different story"; "Play with power"; "It's character, not characters"; "Shared, everyone's powers grow stronger"; and "We have Superpowers. Want some?" are trademarks of IAmElemental. The Jim Henson Company has remained an established leader in family entertainment for over 60 years and is recognized worldwide as an innovator in puppetry, animatronics and digital animation. Best known as creators of the world-famous Muppets, Henson has received over 50 Emmy Awards and nine Grammy Awards. Recent credits include Julie's Greenroom (Netflix), Dot. (Sprout/Hulu), Splash and Bubbles (PBS), Word Party (Netflix), Doozers (Hulu/ Sprout), and the Emmy-nominated Sid the Science Kid (PBS), Dinosaur Train (PBS), and Pajanimals (Sprout). Television productions include Fraggle Rock, The Storyteller and the sci-fi cult series Farscape. Features include Disney's Alexander and the Terrible, Horrible, No Good, Very Bad Day, as well as The Dark Crystal, Labyrinth, MirrorMask, and Jim Henson's Turkey Hollow. The Company is currently in production on the feature The Happytime Murders, starring Melissa McCarthy, and the upcoming Netflix original series The Dark Crystal: Age of Resistance. Projects in development include the highly anticipated film Fraggle Rock. The Company's Henson Alternative brand is currently touring Puppet-Up! – Uncensored, a live puppet improvisational show.